The storm spills over the small village of Upsall, just off the edges of the North Yorkshire moors and balloons out over England, finishing at sundown. But what if the rain had continued? What would England look like? 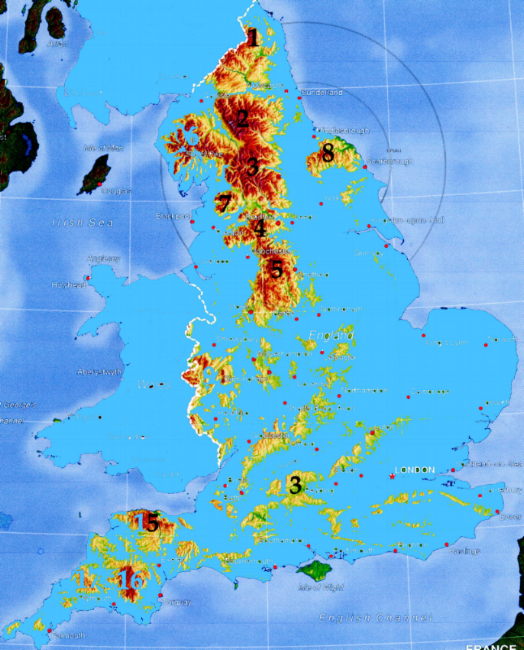 Here is a crude topographical map which shows only the mountainous regions of England above a sea of blue, which is water. The circular lines represent milage from Upsall. The outer being 250miles, the inner 100. Quite interesting really, though not useful. I think I would be sitting on a cold, tiny island in East Anglia - the bump on the right! 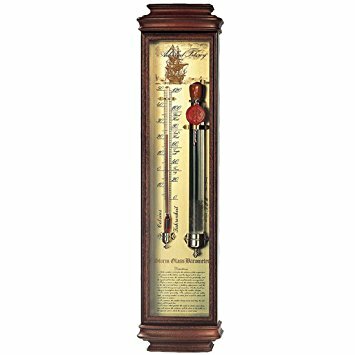 In The Power and the Fury, Isabella decides to build a storm glass, based on a pressure barometer weather forecasting contraption of the 18th century. (Admiral Fitzroy commanded the Beagle on Charles Darwin's epic voyage that outlined his "Origin of the Species"). At one point, all coastal towns had a Fitzroy Storm Glass (see below). Go to this link to find out how to make your own! A homemade Fitzroy storm Glass.